In this article I wish to reflect at more length on the topic of “archaeology of digital media,” which happens to be the topic of discussion this week for the weekly Digital Pedagogy Seminar for first-year Brittain Fellows. Although many literary scholars are certainly well-versed in historical approaches, myself included, the phrase “archaeology of digital media” struck me as rather vague. While certain theoretical approaches (such as Freidrich Kittler’s Gramophone, Film, Typewriter, and Jay David Bolter’s and Richard Grusin’s Remediation), and certain research methodologies (archival work, both print- and digitally-based), immediately came to mind, I nonetheless found myself “stuck,” for lack of a better/more eloquent word, on the word “archaeology” (let alone “digital media,” a term we all know to be rather amorphous in its definition and usage). 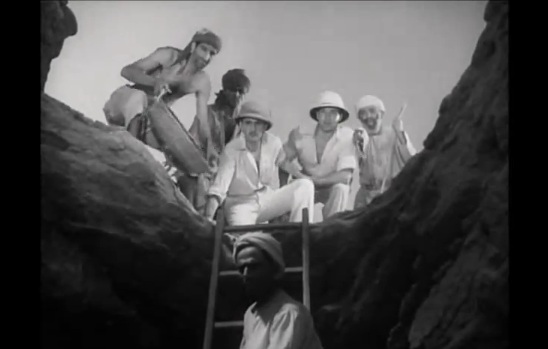 As an archival researcher who examines the invention of photography from the disciplinary vantage point of literature/cultural studies, calling myself an “archaeologist” did not sit well – not the least because I cannot help but picture images from the classic black-and-white mummy films of men in pith helmets raiding Egyptian tombs. My unease with the phrase suggested that, for me, a consideration of the topic, “archaeology of digital media,” needs must begin with the question, why “archeology”? Why has this particular word gained currency? Why not the more general (and antecedent) phrase, media studies? Perhaps the image of pith-helmeted raiders is not so far off, for as used here, archaeology metaphorically suggests an uncovering, a digging down, an excavation of media. The notion of unearthing media from the layered strata of years past is also evoked in the phrase, “a deeper examination of media” – one that is often also used when attempting to describe this particular theoretical approach. Which, in an indirect way, leads back to the “digital media” portion of this phrase. Digital media is nearly-always theorized and conceptualized as the “newest” media, with newness often being measured by how transparent, immediate, and highly realistic the technology can be in conveying information (a topic that Bolter and Grusin trace, incidentally, in their examination of three-dimensional perspective in Remediation). Take a look at any of the latest PC game offerings for examples of this immersive, illusionistic sense of visual realism (such as this excerpt from “Battlefield 3”). It is precisely this transparency – the technology a “window through” – that makes digital media seem invisible and sui generis. Thus does an archaeology of digital media serve as an insistence on genera: to new media theory’s often-edenic descriptions of digital media as a springing-forth from nothing, from “the dust of the ground” (as described in Genesis), digital media archaeology makes explicit its focus on the roots and origins. To take liberties with Darwin, it suggests that new media are “descendents of some other and generally extinct species” (The Origin of Species). And yet, although “archaeology” metaphorically descends through layers and excavates linear time, theorists of digital media archaeology seek to distinguish their approach from this very suggestion of lineage and chronology. While media studies and “A History of Media” may trace a seamless trajectory of progress (eliding particularities of media, technologies, practices, and context in a monolithic narrative of Communication), media archaeology trace histories of media, finding not only “connections” but also “gaps” and “discontinuities,” as described by Erkki Huhtamo and Jussi Parikka’s in the introduction to their 2011, Media Archaeology: Approaches, Applications, and Implications: “the past is brought to the present, and the present to the past; both inform and explain each other, raising questions and pointing to futures that may or may not be” (15). Of course, the definition of media archaeology and its distinction from media studies in general is still being defined (as noted in the above 2011 publication); further, media archaeology is not immune to the desire to trace a lineage from one media to another. Its proclaimed difference, however, is in its seeking to articulate not a narrative of a seamless, single trajectory of progress, but rather narratives that acknowledge the discontinuities and ruptures in the connections of media. It seeks to resist the general for the particular. Thus, the particularity of phrasing that “archaeology of digital media” entails begins to make sense as a term. Why not simply “media studies”? To indicate that it resists the general for the particular, breadth for depth. Not a Time-Line of Media (time, singular, and linear), but rather a piecing together of a medium through the contexts of its production and reception, its usage and material emanations – much like a gathering of pottery shards. Finally, although a rather rudimentary approach, my concern with definitions in understanding the archaeological approach to media studies led me to “Archaeology 101,” a document composed by the Archaeological Institute of America. Its organization of information neatly delineates what is involved in defining the discipline, and certainly resonates with the points raised by Huhtamo and Parikka in their consideration of the not-yet-fully-articulated discipline of media archaeology: culture v. material culture; types of archaeology; excavation and the process of archaeology; and techniques and tools. The final section of this document, however, is a good reminder of the perils of an archaeological/historical approach to digital media: “looting and destruction.” As with any attempts at articulating histories, one must attend to the possibility of misrepresenting the past: of taking objects out of context, of mining the past for examples that fit with present conceptions. Perhaps, ultimately, an unease and self-consciousness about the term “digital media archaeology” is a productive antidote to this possible looting of the past: in being aware of one’s position as a researcher/excavator – of one’s “observation post in the present” – one can hopefully unearth fragments of a media’s past that are representative of its past uses, complexities, and contradictions (9). Bolter, Jay David and Richard Grusin. Remediation: Understanding New Media. Cambridge, Mass. : MIT Press, 1999. Huhtamo, Erkki and Jusi Parikka. Introduction. An Archaeology of Media Archaeology. Media Archaeology: Approaches, Applications, and Implications. Ed. Erkki Huhtamo and Jusi Parikka. Berkeley: U of California Press, 2011.1-25. 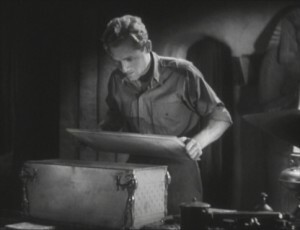 Kittler, Freidrich. Gramophone, Film, Typewriter: Writing Science. Transl. Geoffrey Winthrop-Young and Michael Wutz. Stanford: Stanford UP, 1999. Tagged archaeology of media, archives, digital pedagogy, media, technology.